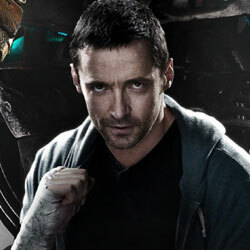 Disney sent over a new poster for the upcoming Hugh Jackman movie, Real Steel from DreamWorks Pictures. 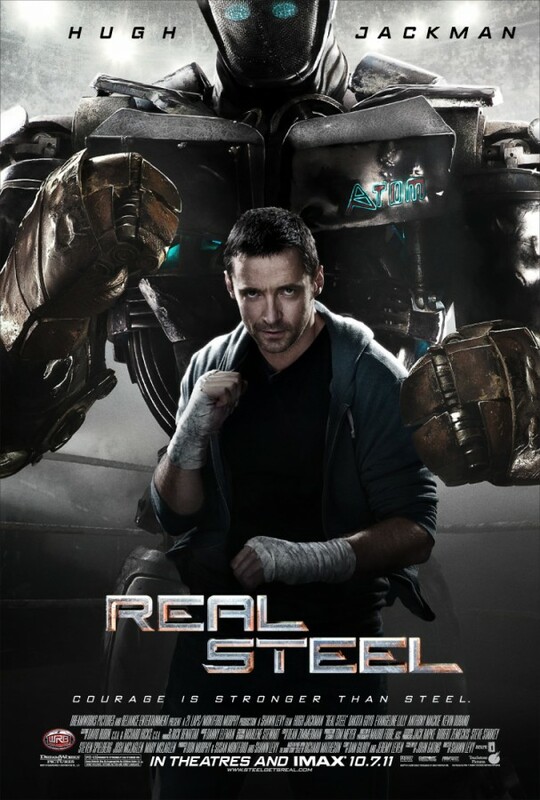 Real Steel opens October 07, 2011. I can’t believe they are making a rockem sockem robots movie. Is Hollywood that hard up for ideas? Hay don’t wright it off yet this movie actually looks pretty neat. also STOP CALLING IT GRITTY! >_< its not and in this day and age every ones sick of grit. They’re not. This looks like an update of the Twilight Zone episode “Steel”. Not sure why everyone keeps saying rockem-sockem. If I want to see robots hitting each other I’ll rent out the 80’s double bill of Crash & Burn and Robot Jox. It was a dumb idea for a toy. It’s a dumber idea for a movie.